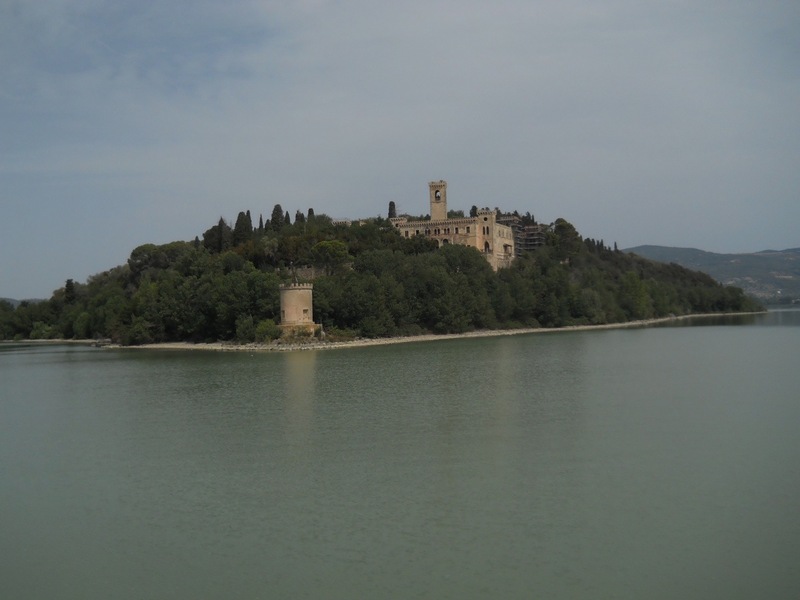 Today I went on a side trip to Passignano sul Trasimeno or Lake Trasimeno. It’s only about twenty-seven minutes by train. 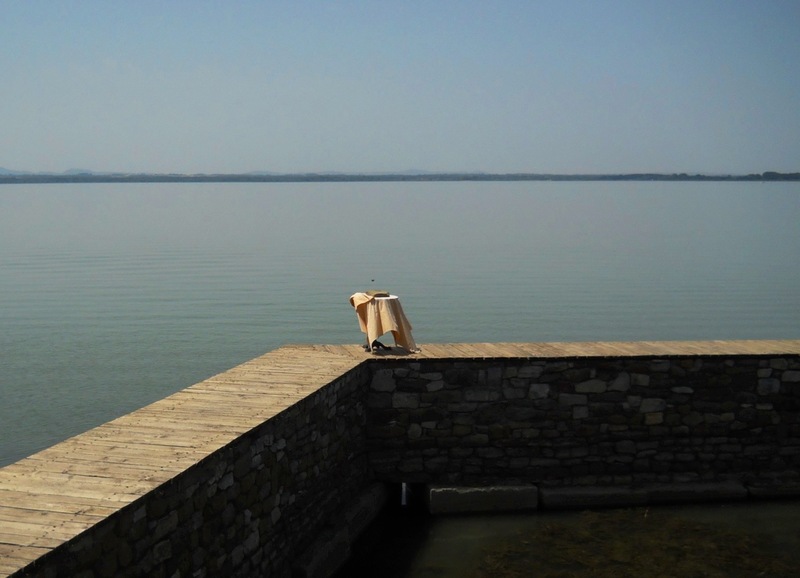 Lago Trasimeno is a beautiful Tuscan lake, but it’s not very deep– only 20 feet at the deepest, and the fishing has really tapered off as the lake has become more marshy in the last hundred years. 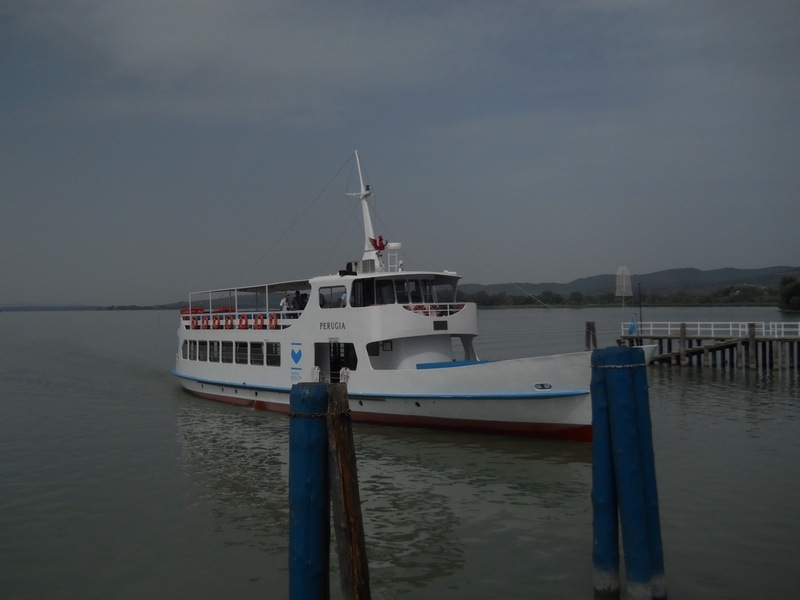 I took a twenty-minute ferry ride to Isola Maggiore, a tiny island that used to have 500 – 600 inhabitants in the Middle Ages. 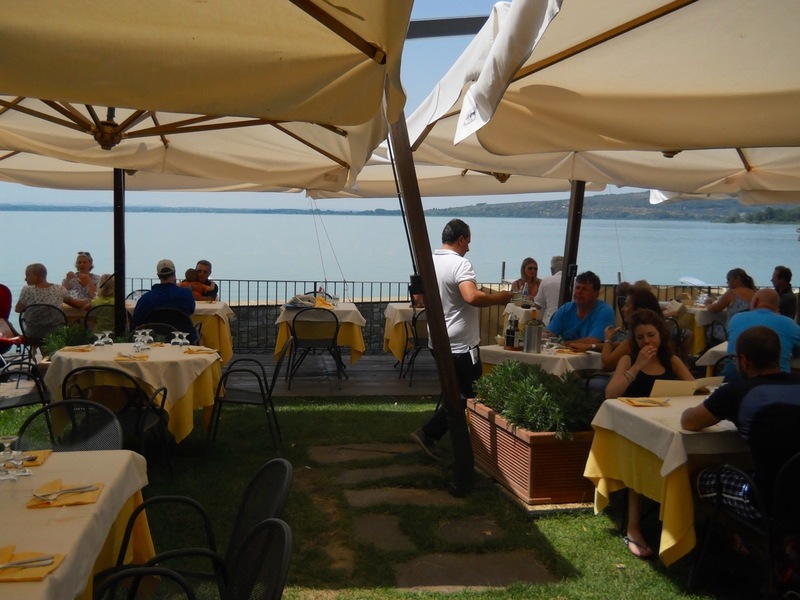 I met a nice Belgian couple on the ferry, and we hiked to a medieval church on the top of the hill and then had lunch at one of the three restaurants in town: Ristorante L’Oso, with a great view of the lake. I thought “oso” meant bear, but that’s “orso.” L’oso means: I dare. Had delicious perch that the waiter said was local, and I asked him about living here. 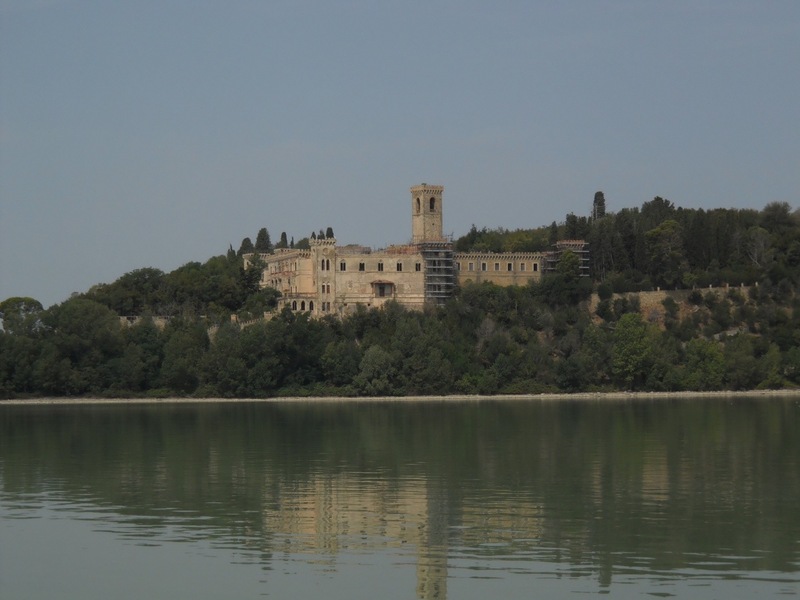 He said only sixteen people lived on the island in the winter, and that he lives in Perugia but likes working on the island. 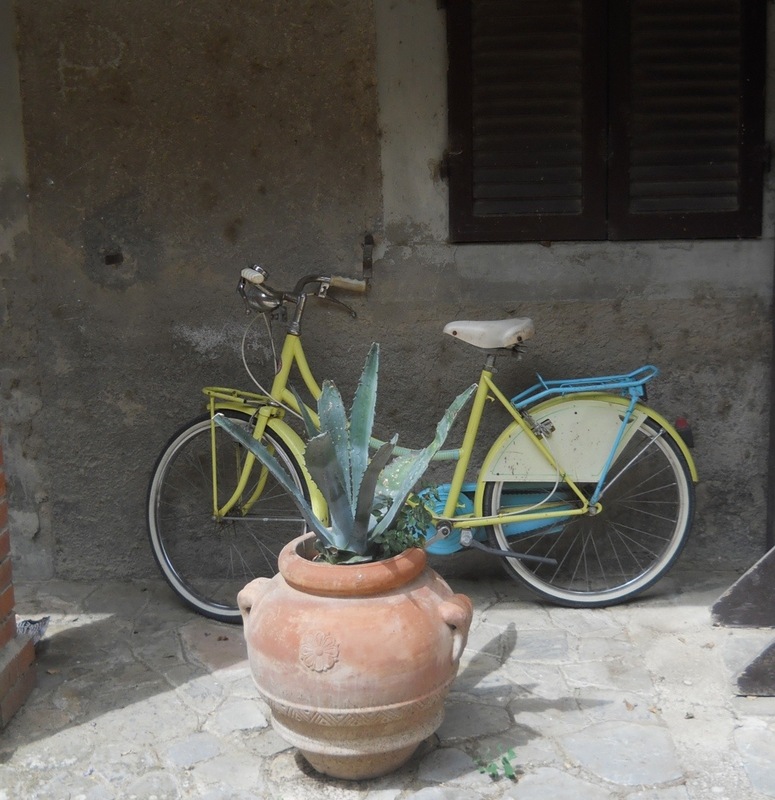 In the summers, they have from 100 – 200 people living on the island. In the winter it is very dead, he said. I asked why there was a table on the pier with a tablecloth, and he said it was because it was good to look at, romantic. I had this conversation entirely in Italian. It’s kind of sad that just as I’m getting more confident, I’m leaving. But I will return! I’d love to come back with Richard next summer to take another month of classes. Also, one of the women over for dinner last night is a UT graduate student in Italian. 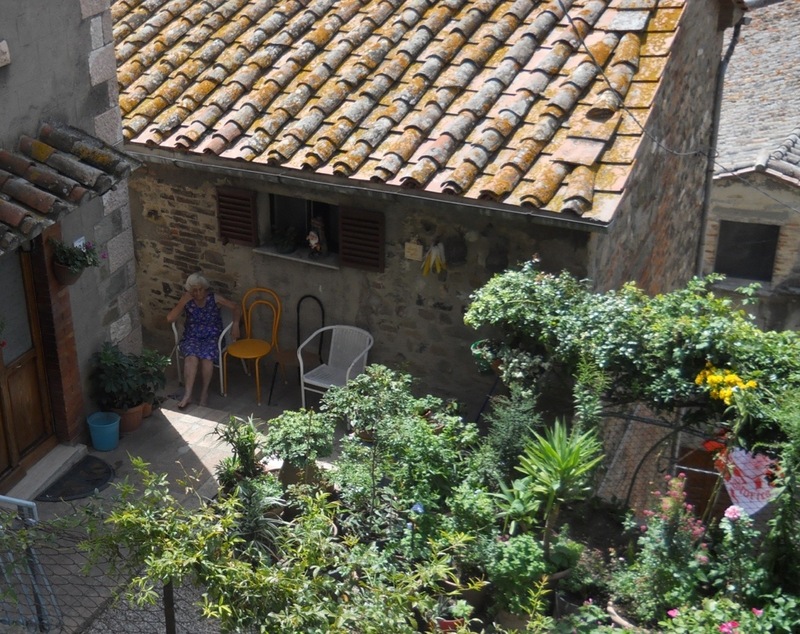 She said she’d meet me at Cafe Medici for conversational Italian lessons, which will be perfect. That way I’ll be able to improve my speaking and not forget everything I’ve learned. I have one and a half days more of class and then I take the train to Venice on Wednesday, fly to Austin on Thursday. So, the trip is closing. Just a moment ago, all the bells in all the churches started ringing the hour, all a little off from each other, as if they were harmonizing. The woman on my street was practicing her opera singing as I put the key in my door. 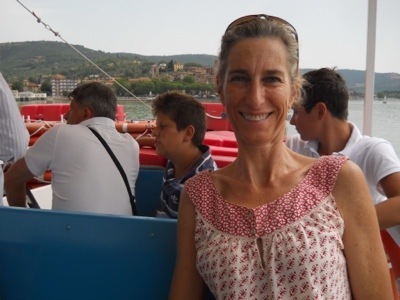 I will miss the sounds of Perugia and the intimate, village atmosphere, the fun of running in to people I know on the streets. 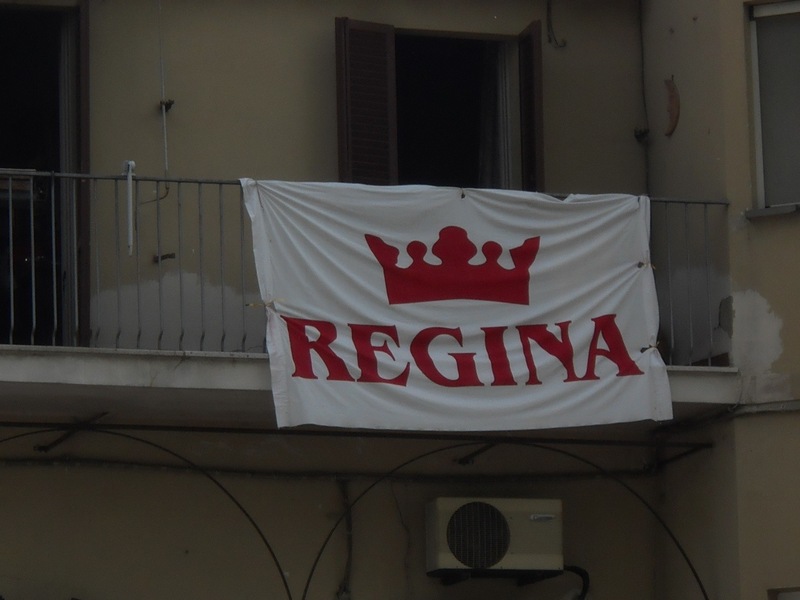 Caroline, I added some Queen/Regina banner photos for you. 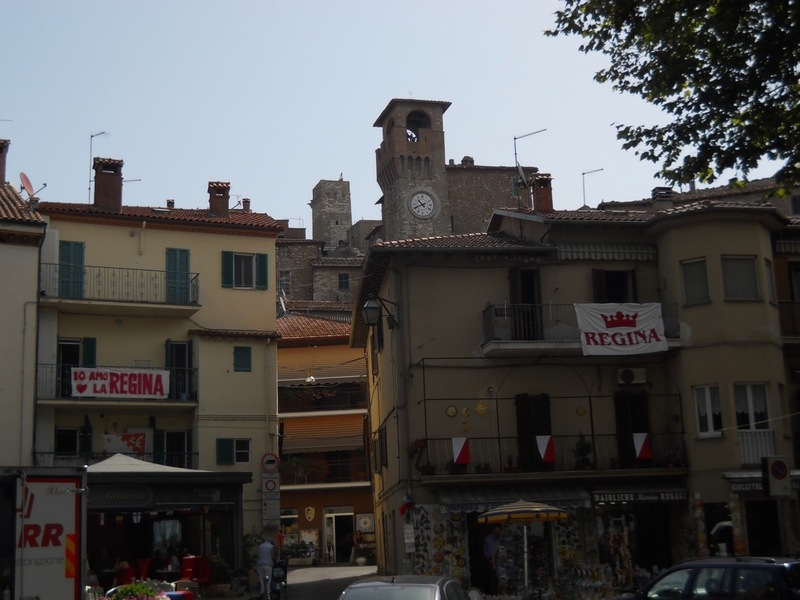 I think Regina may be one of the contrade of neighborhoods in Passignano. 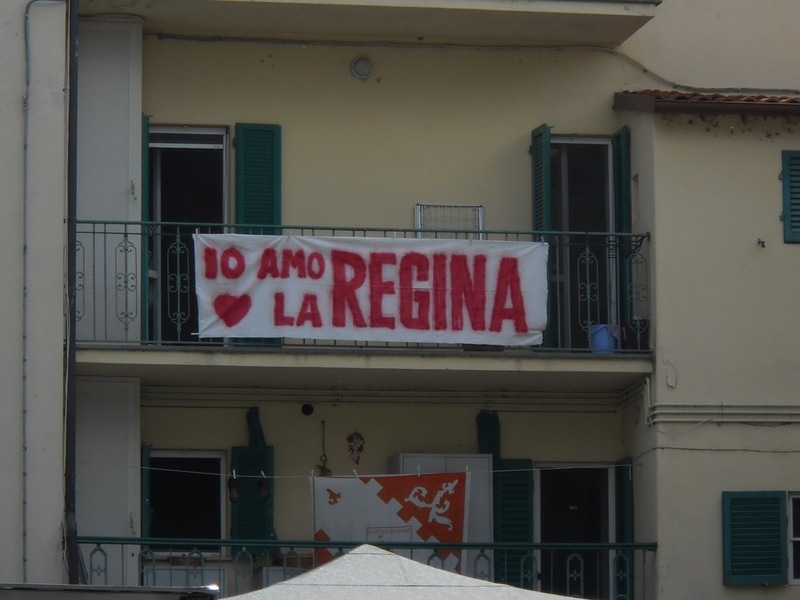 I saw another banner for Oliveta. Anyway, I thought you would like them.